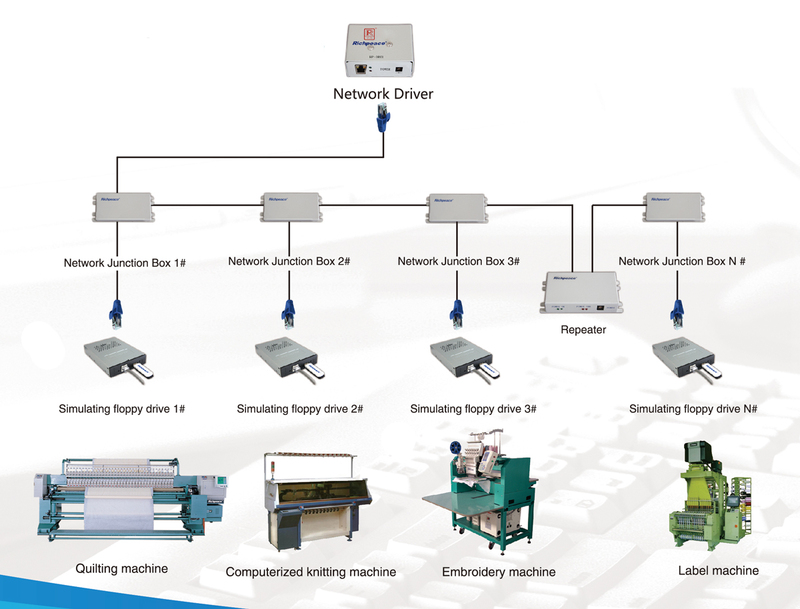 Replace all kinds of floppy drive with different jumper settings on special industry machine. Built-in 1.5mb memory ensures high efficiency. Loading data from USB stick only takes several seconds. 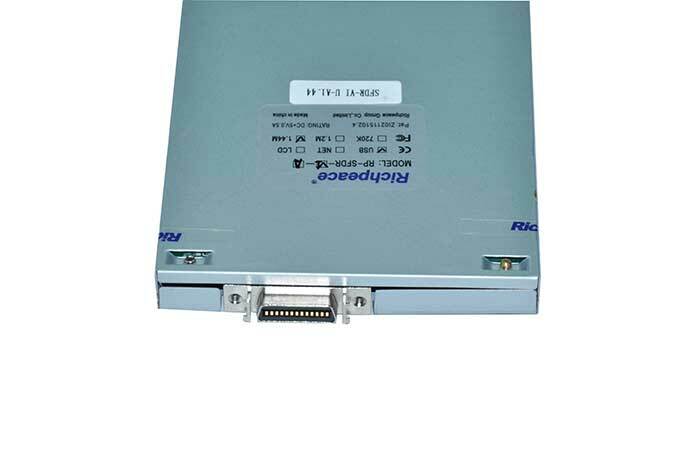 Replace different size floppy drive. 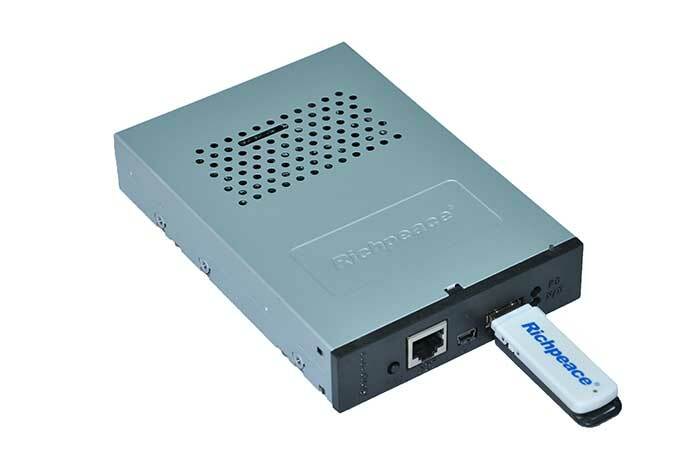 USB and NET dual function can realize equipments networking management. Provide multiple specifications signal connector: 34pins, 26pins, etc. 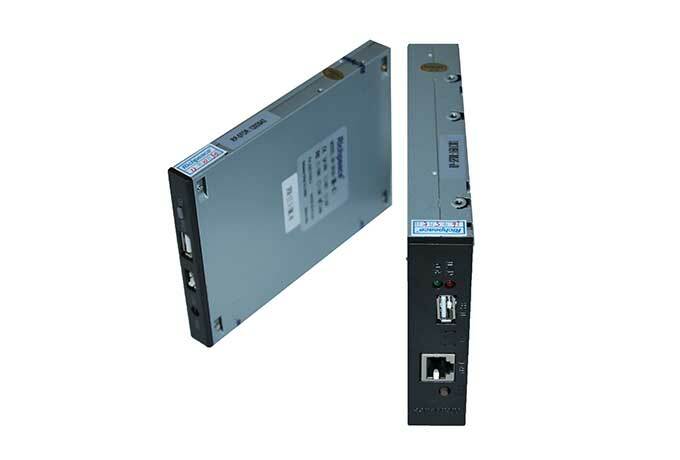 Accord with international safety standards and have CE, FCC certification already. 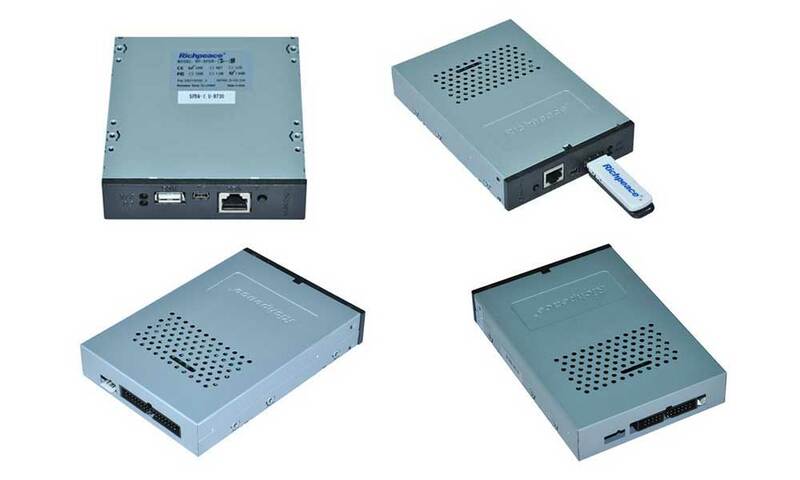 Without USB flash stick capacity limitation and can be formatted as FAT/FAT16/FAT32. Good service: One year guarantee and life-long service. 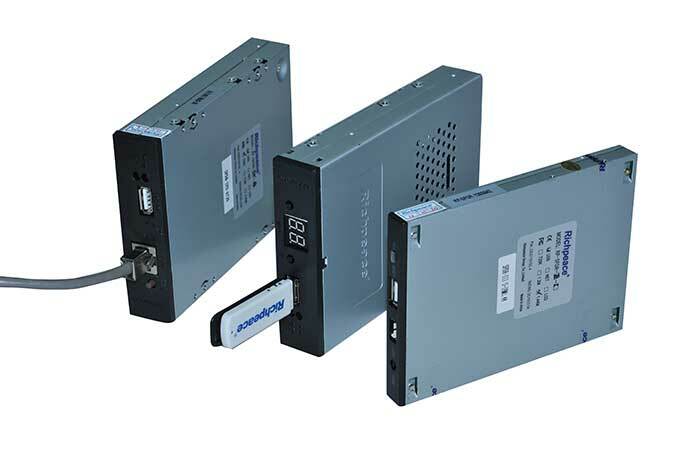 Double LED codes, double press buttons and can choose 100 folders/disks in USB flash stick. Automatically identify FAT32/FAT format USB flash stick. Suitable for DOS_2HD, DOS_2DD, and various special equipment disk format. Automatically identify multiple disk formats: 1.44M, 1.28M, 1.232M, 1.2M, 1.04M, 1.01M, 800KB, 720KB, 640KB, 610KB. 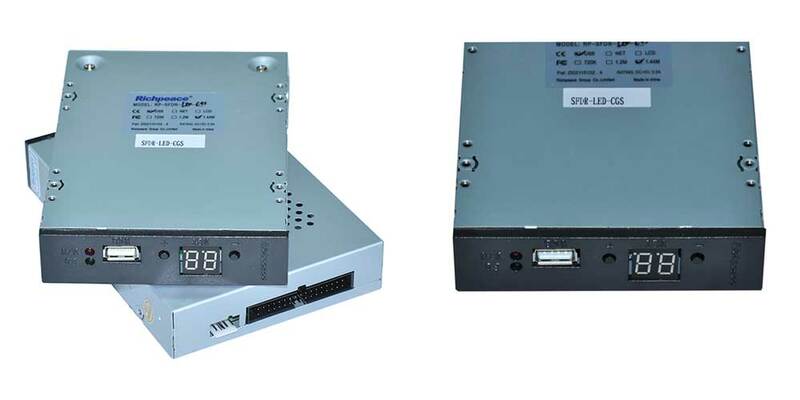 Compatible with multiple old version floppy drives and jumper floppy drives. Automatically convert different disk formats to start up system and store data for CNC equipment. Avoid virus from computers and USB flash sticks. Optimized operation, humanized design and flexible function. With exquisite design, high quality, invention patent protection and expert supervision. Different network configurations and professional customization solutions are provided.